Currently there are many scammers around the world and this does not exclude the world of cryptocurrencies.That's why StreamDesk has decided to create a platform based on the exchange of cryptocurrencies in an easy and secure way. As I mentioned above, Streamity is a platform based on the exchange of cryptocurrencies, now in an easy and very secure way that guarantees very fair treatment to all users or people. 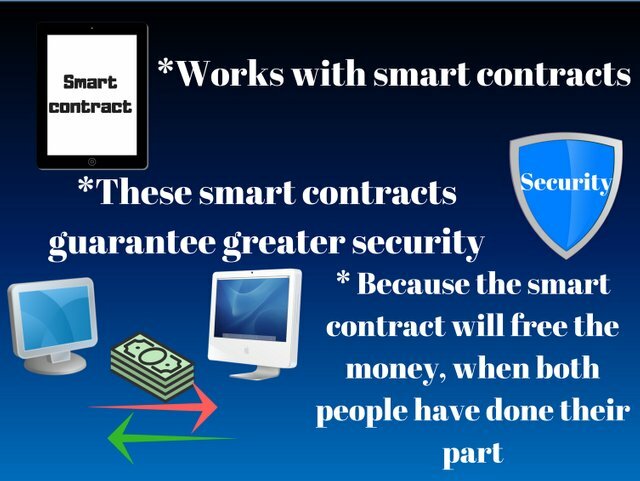 As expressed in the image I made, Streamity works with smart contracts, which makes you more secure, because it will not release the payment, until both parties have complied with what was agreed. I made these logos on behalf of the platform. In the first, which is an animation, I placed the original logo of the platform (in black) and its name, in the second I decided to highlight the security that this platform gives us through its intelligent contracts and in the third I decided to show the coins with what works I chose these colors because I think they are very attractive visually..